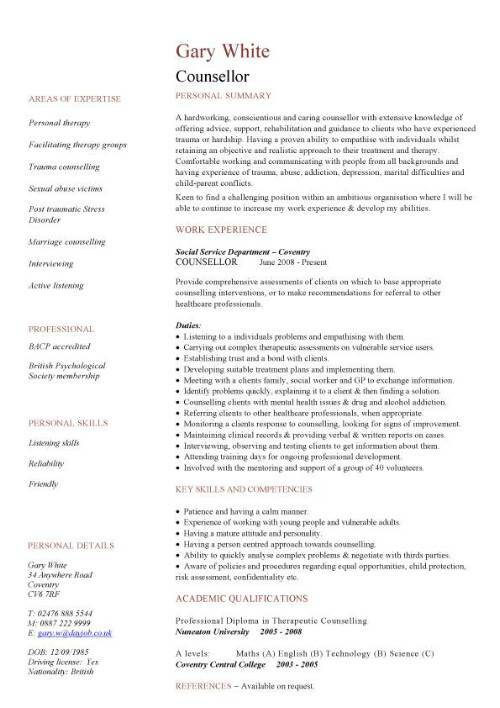 On this page you will find a link to a professionally written counsellor CV template and also get tips on what points to focus on in your CV. How you can establish a relationship of trust with clients. Help clients to make decisions about their circumstances. Your ability to empathize with your clients. Ability to cope with emotional situations. How you can identify behavioral issues and provides solutions to tackle them.